Datura Inoxia is a white-flowered datura species held sacred by Hindus and the Aztecs. Inoxia is very similar to datura metel, and it was formerly known as datura meteloides. 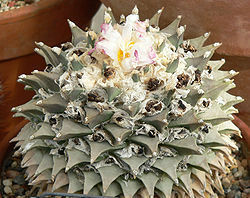 It may also be used interchangably with datura wrightii. Inoxia, sometimes spelled innoxia, is native to Central and South America, but it has been introduced to other parts of the world. 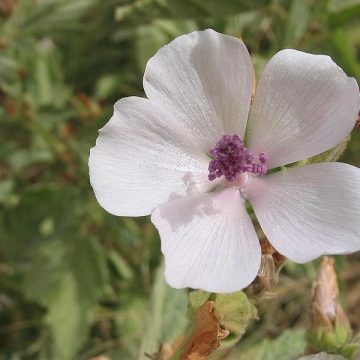 It is often grown as an ornamental plant for its large dark green leaves and heavenly white flowers. The flowers are known for having a pleasant fragrance too. 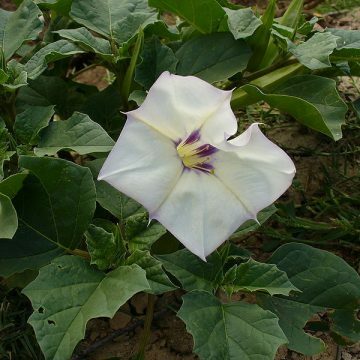 Datura Inoxia has tropane alkaloids similar to those of other daturas, henbane, mandrake and nightshades. They are highly toxic to humans and most animals, so care should be taken to avoid ingestion. 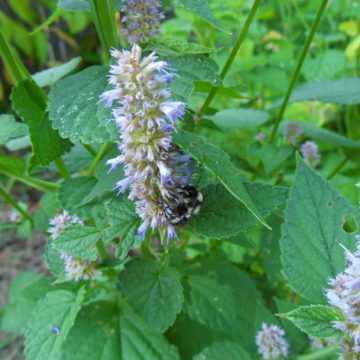 Despite their extreme toxicity, the plants did have some history of traditional medicine and homeopathy. But the high likelihood of overdose and the availability of alternative treatments have wiped out most use other than by very small sectors of the population. It is usually grown as an annual, but it can be kept perennially if prevented from freezing. Some reports indicate hardiness down to zone 6. 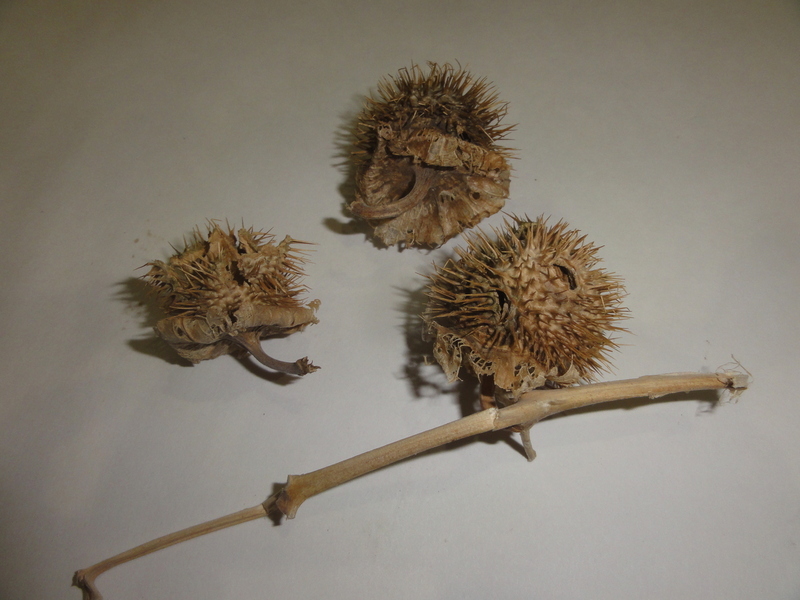 Growing Information: Many species of datura contain germination inhibitors in the seeds as a mechanism to stagger germination in the wild, which increases the overall survival of the species. The seeds have been treated with GA-3 (gibberellic acid) to counteract the effects of these inhibitors and provide a quicker more even germination. Otherwise, seeds can be soaked prior to planting. 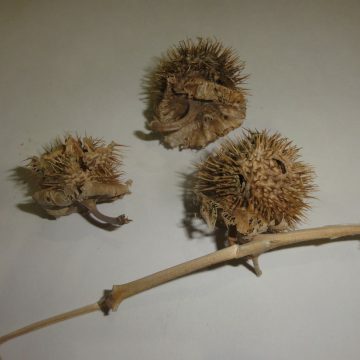 Datura seeds should be planted just below the surface of the soil (about 1/8″). They can be direct sown or transplanted after the seedlings have developed their first set of true leaves. Plants will grow in almost any soil type. Although, a well-draining, nutrient-rich soil such as a mix of sand and compost will produce drastically better results with taller, wider plants that have bigger blooms and more pods. For best results, situate plants in full sun to nearly full sun.